Render My Home is your one-stop design and building service that Renovates, Rejuvenates and Restores your home façade- adding Value, Style, Sophistication. We work together with architects, interior designers and homeowners to deliver the front line of the latest commercial and residential trends. We have worked in many prestigious homes and business's and have produced unique, elegant and customised finishes. Cement rendering has been our family business for over 40 years, which is why we have an outstanding reputation as ‘Cement Rendering Specialists’. We remain a family owned and run business, based in Sydney, NSW - covering Sydney and all metro areas. Our commitment is to consistently exceed expectation - through the delivery of high-quality, customer-oriented services and solutions, ON TIME and ON BUDGET – and our transparent pricing proves we offer the best value! We provide customer satisfaction and an efficient first class service, as we take pride in our attention to detail and in being meticulous – which ensures exceptional quality. We also maintain a responsible approach to health & safety and to the environment. We believe we have created a winning formula for the delivery of sustainable solutions and best value for our clients, by combining the specific skills of our highly experienced team - who are all qualified professional tradesmen and who together, bring a vast wealth of experience to all our projects – with working together with our clients, to ensure we fully understand and meet their needs and expectations; this enables us to provide a successful solution to any problem and to complete all our projects to the very highest standard. 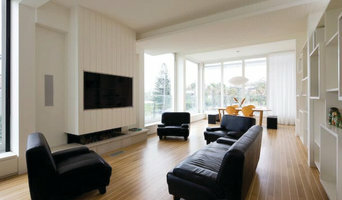 Our projects range from large to small, residential and commercial. We certainly don’t just concentrate on major contracts either, as we have an equally impressive track record on smaller projects – our past projects bearing testimony to the depth of the wide range of skills we have to offer. Our experience, expertise, resources and proven track record are complemented by an extensive and valuable network of professional relationships; ensuring we successfully meet the requirements of our diverse client-base. A good measure of our success is the high degree of work undertaken for repeat clients. We place great emphasis on the development of long-term client relationships and continually focus on improvement, to ensure these highly-valued relationships remain firmly in place and continue to flourish. Most importantly, the key to our success lies in the talent, commitment and professionalism of the MIX MUD TEAM; as a company that seeks to be innovative and to set high standards of excellence, recruiting and retaining the right people is paramount. The fact that our employees remain with us for longer than average in our industry, is testament to our approach and principles. Sydney Wide Plastering is a team of complete interior specialists with an emphasis on customer satisfaction and second to none workmanship , although sydney wide plastering concentrates on sydneys northern beaches we do not limit our travels . Our team is completely licenced both in GYPROCK and PAINTING and also fully insured. Sydney Wide Plastering is your team of complete interior specialists. When you need plastering or gyprocking done in Sydney, we are your first choice. We provide complete solutions in both areas, and no job is considered too big or too small for our team. With over 23 years’ of experience in the industry, Sydney Wide Plastering has all the knowledge and expertise required to complete every job in a way that will leave our customers 100% satisfied every time. That is why we also offer our customers a free, no obligation quote. Our expert team are also quite happy to provide you with advice on plastering or gyprocking services in Sydney. Render Plus has gained a reputation for providing customers with high standards of services, efficiency and professional advice. Innovative Rendering has played a significant role in the development of many residential and commercial facilities in New South Wales (NSW) and Australian Capital Territory (ACT). 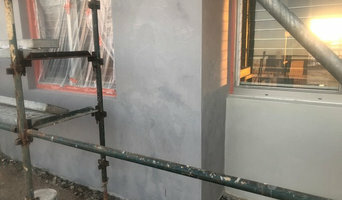 For the past ten years, Render Plus has provided services in Cement Rendering, Acrylic Rendering, Texture Coating, Reinforced Polystyrene Cladding and Venetian Plaster. Creative Wall Solutions specialise in various architectural wall coating systems. With a portfolio that spans Europe and Australia, and experience in a range of methods including traditional set plaster, polished plaster, texture coating systems, specialty paints, acrylic and cement render, Creative Wall Solutions can manage your project from concept to completion. Whether it is a contemporary renovation or period restoration, the team at Creative Wall Solutions has the practical experience to ensure a decorative and functional finish, incorporating tradition and innovation to achieve unsurpassed quality. Mick Williams Drywall & Ceiling Plastering are your local Gyprocker team. We offer the best rates in the North Shore/Northern Beaches and are focused on keeping clients happy through quality work with good communication. Our dedicated and friendly team is small enough to provide you with personal service, yet our vast experience and knowledge means no job is to big for our small team of professional plasterers. Over the years we have built a solid reputation with our clients and our satisfied customers include a vast array of builders, owner builders, kitchen and bathroom renovators, strata managers, insurance work and home owners. Not all cement renderers, white set plasterers & tilers in Sydney are the same… Sydney Heritage are specialist traditional renderers, plasterers and tilers in Sydney. 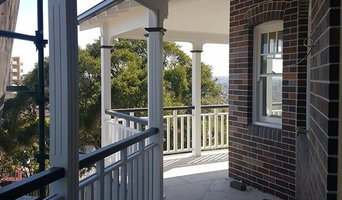 With over 25 years of experience Sydney Heritage specializes in the restoration of Sydney period dwellings where traditional cement render, hard set finishes and aesthetic tile designs are applied. Having learnt the art of Conservation from the best in the country, Charles Frangoulis’s passion for perfection and attention to detail have made Sydney Heritage one of very few select masters in Sydney. From a Sponge finished wall with Ashlar lines to a detailed Italianate Facade. Plaster setceilings to a repair for a Paddington cornice or even Re-tiling your bathroom to laying Marble Thresholds down a flight of steps leading from the veranda which has a Tessellated tile design suited to your Federation home. Sydney Heritage prides itself on performance where finished work is neat, accurate, ‘Gun-barrel’ straight and above all clean. Family owned and operated since 2007, experienced and durable service and production solution to all your plastering and drywall needs. Seamless Interior Linings Pty Ltd we are Gyprock Plastering professionals. Providing not only industry leading finishes but with a team and service that keep clients coming back. Whether its a simple patch or repair to a multi million dollar build, We have it covered. Cement rendering is an affordable way of upgrading your home, as well as providing long-lasting protection from the elements. Our residential and commerical rendering service is reliable and efficient. Whether you're a home or business owner, we will give your property a modern and contemporary upgrade. Don't hesitate t o contact us in Tarrawanna with questions, and one of our friendly rendering consultants will be happy to help. Our Team Our Tarrawanna-based team are fully trained, qualified trademen with experience in just about any cement rendering job you can imagine. From large residnetial and commercial properties involving multiple storeys, to small garden walls and fixtures, our highly professional staff will ensure that the job is completed to your satisfaction. We understand that your property is important, and so are your specifications. Our team will work closely with you in choosing materials, and ensuring that the job is completed smoothly and efficiently. With 25 years of experience in Interior Design, Interior Fit-out in both residential and commercial projects, we offer outstanding services to our clients. Combining Interior Design and Fit-out provides our client with the best and cost effective solution to design and space constrains. Also specialising in ornate ceilings and cornices, we are one of the few remaining companies in Australia that can achieve client satisfaction with our service. Our services range from Office and Shop fittings design and construct, floor finishes, painting and specialized and custom doors to suit our clients' needs. NJ Interiors are a one stop shop for all your interior needs. We can design to suit any interior and can finalise all facets of your project including plumbing, electrical, finishing, painting and partitioning. We use only the best quality products such as CSR giprock and Australian plaster walls, but we will of course use any products preferred by our customers on a project by project basis. Unique plaster has an extensive range of plaster cornices and interior and exterior mouldings that cater for a vast array of decor and taste. Unique Plaster carries a large variety of plaster products, as well as being able to custom make designs to suit your individual needs. Some of our products include cornices, roses, panels, corbels, bands, fire surrounds, columns, domes and other accessories, By amalgamating our mouldings together you can create your own individual style. So whether you’re building from scratch, renovating or restoring a heritage house, browse our directory of Mortdale, New South Wales plasterers, renderers and manufacturers of plaster products for creative solutions for walls, ceilings, columns, arches and cornices. 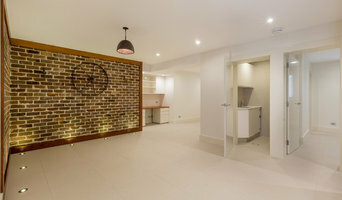 What can a renderer and plasterer in Mortdale, New South Wales do? Find Mortdale, New South Wales rendering and plastering services on Houzz. Scroll through this page to find rendering and plastering professionals in your area. Just enter your suburb in the top field to narrow your search. Get contact information or message professionals directly so you can ask about rates, and read customer reviews.